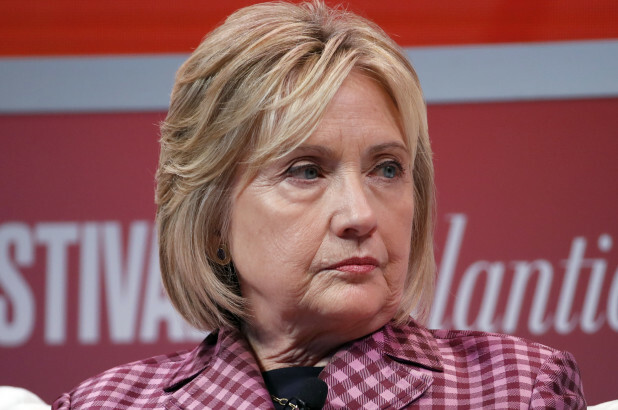 Socio-Political-Journal... : Hillary’s Call For a ‘CIVIL’ War? But the ceremony was much more than that mere boosterism. With the eight other Supremes sitting in the front row, Trump aimed to restore dignity to the judiciary at a time when the dirtiest tricks of politics have buried the court in a mountain of mud. The president is right to worry that the character-assassination attempt on Kavanaughmay turn out to be a seminal moment in American political and cultural history. The ideas that the court is just another political branch and that the presumption of innocence no longer applies if you are on the other team represent a seismic shift in how we look at each other and the nation as a whole. “He is denigrating — he is talking down our democracy. And I am appalled that someone who is the nominee of one of our two major parties would take that position,” she said in their final debate, in October of 2016. Did Mayor Putz find a cure for homelessness? Did he solve the problem of failing schools? Did he fix public housing or the subways? Nah, the small stuff is beneath him. His “stop the presses” accomplishment was signing legislation putting a third gender on city birth certificates. The law takes effect Jan. 1 and removes the requirement that a medical or mental health professional affirm an individual’s gender to change the certificate. The effect is that anyone can simply demand a new birth certificate and chose a new gender. It’s not clear if there are age requirements or limits to the number of times an individual can make changes. I don’t doubt that gender identity is a serious, complex issue for some people. But I do wonder about the impact of this dramatic change on society, including gender roles in everything from sports to toilets, and about the priorities of the mayor and City Council. Do they have the same passion for public safety and good schools? Do they care as much about the unfairness of the tax system? My fear is that they don’t, and that their intensity about narrow issues is a fig leaf hiding their surrender on broad ones. There are superlatives for that, too. Disgraceful, cowardice and shameful come to mind. Headline: Snapchat is quickly running out of money. Well, when a company’s business model is based on pictures and messages that disappear, is it really a surprise that the company itself might disappear? you're speaking about! Bookmarked. Kindly also discuss with my site =). We may have a link change arrangement among us!